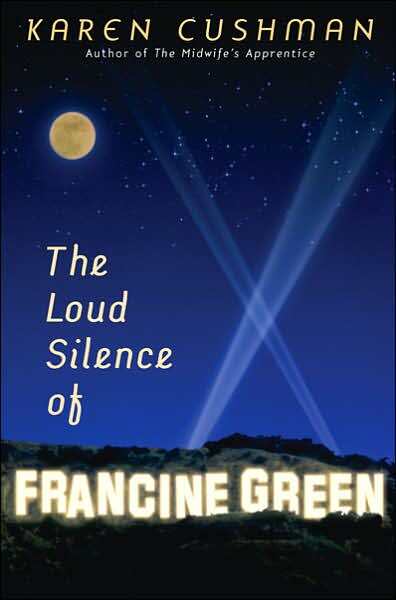 Francine Green has a simple philosophy for herself: “Let others get noticed and into trouble.” She behaves so well and is so “moderate” that she feels “invisible” at times and that is just perfect as far as she is concerned. She comes from a family that does not believe in rocking the boat and that is how she likes things. And then Sophie Bowman rockets into her life. Sophie has a totally different approach. Pretty, outgoing Sophie believes in voicing her opinion – as loudly as possible. She has been expelled from numerous schools for protesting the bomb and for demanding her constitutional right to free speech. Sometimes Sophie goes over the top – way over the top. Even she admits that her timing might be a little off on occasion. But she will not back down on her beliefs. She will never compromise. At first Francine does not understand what it is that Sophie is making such a fuss about. Everyone knows that the communists are bad and that we need the bomb to keep them in their place. Right? But then Francine meets one of Sophie’s friends, a sweet Jewish actor who has done nothing wrong and yet who is being accused of being a communist. The poor man is hounded, prevented from getting a job, and made utterly miserable. How can this be right? Francine is appalled and the more she learns about the anti-communist witch hunts lunched by her own government, the more upset she gets. Her own parents don’t seem to have any answers, which makes the whole thing even more confusing. Nor do the nuns at her school. Indeed most of them are all in favor of what is going on. Still, even though Francine knows that she is seeing injustice being done, she keeps quiet. She follows her father’s advice: “Don’t get involved.” She even stays away from Sophie who is tainted by the whole terrifying business. Will Francine always be able to keep quiet about the blacklisting, the intimidation, and the injustice? Set in Hollywood in 1949 and 1950, this beautifully written coming of age story is both delightfully funny and, at times, painfully poignant. Young readers will be astonished to discover how much fear there was in post war America and how confusing a time it was for young people. Francine certainly was not the only one who had a hard time trying to understand what was going on in the grown up world around her. What is interesting is that though there are differences between the problems that Francine has to face and those a thirteen year old has to face today, some of Francine’s difficulties are very familiar indeed. After all girls still want to be popular and they still want to impress the boys. They still want curls and they still wish a handsome movie star would notice them. Some things never change.